Should you desire to venture around Tuscany, we have designed many different local experiences in which you can participate. Whether you want to explore a medieval town, hunt for truffles, soak in a bit of culture, or go on an adventure, we have you covered. Now is your chance to explore the area and seek out your very own unforgettable adventure. Hiring a boat is a wonderful way to relax and explore the sparkling waters of the Tyrrhenian sea and to discover the magnificent islands of the Tuscan Archipelago. A pasta lunch is served on board, along with Tuscan wine. 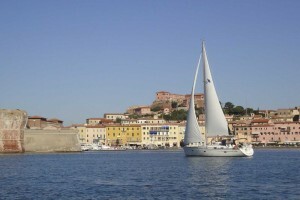 Alternatively, you may travel down the Etruscan Coast, stepping off for lunch at a lovely restaurant by the sea. Romantic sunset sails can also be organized, which include a fresh seafood dinner. Deep-sea fishing is the perfect way to get out there and test yourself. If you are a thrill seeker that wants to land the big one or just someone that enjoys the weekend fishing trip, an off-shore fishing experience could be just the perfect get away. You will leave in the morning with your captain, who will serve breakfast and lunch on board after fishing all day long you will be brought back with your catch in the afternoon. If you want to get in touch with your spiritual side, we offer you a true spiritual experience. We will take you inside a medieval church, which has served as the center of the community for hundreds of years. You will get an understanding of the religious aspects, history, and architecture, as well as the culture of the inhabitants. You will also visit a local Abbey, which is a must-see. You will visit with Monks and listen to their beautiful Gregorian chants. This tour will conclude with lunch at a nearby restaurant, or, weather permitting, lunch in the beautiful gardens. The Etruscans once inhabited this area of Tuscany. In this tour, you will visit an ancient archeological area with the help of a professional guide. You will have lunch in a medieval village, where you will also visit an Etruscan Museum. Here, you will learn the history and the culture of Etruscans. You will see many artifacts and learn how the society thrived, and of its eventual collapse.